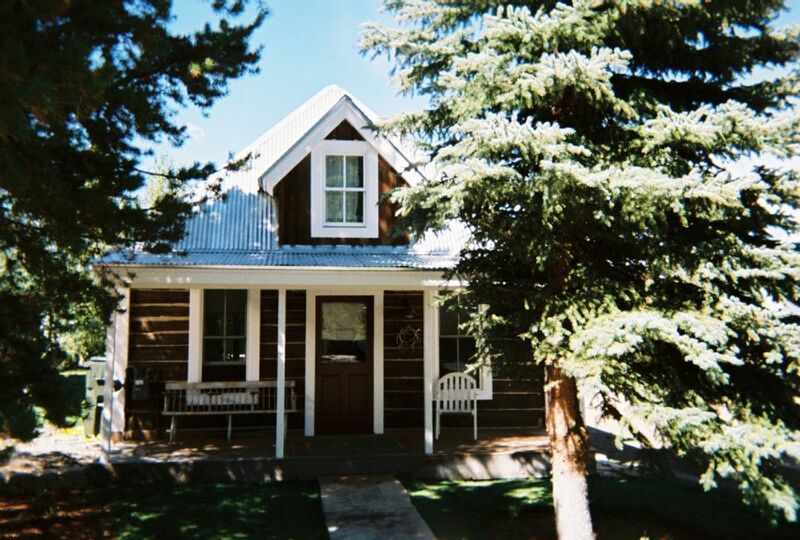 Charming historic log cabin in the heart of Crested Butte. Recently remodeled, it's one block from the free shuttle to the mountain and just a block from the main shopping area and restaurants. The rushing creek and the amazing mountain views allow you to escape into your surroundings, while the flat screen TVs and wireless internet keep you in touch with the busy world you left behind. The beautiful Colorado summers can be enjoyed on the back patio or you can curl up next to the fire and watch the snow fall in the winter. Great house, perfect for a family of 3-5. We loved this house. It's a beautifully renovated and expanded historic cabin - authentic mountain feel but with tasteful stylish modern touches. Great location in town. It was perfect, cozy and comfortable for our family of 4. We will definitely be back! Very relaxing and unique little cabin, a complete surprise. Amazing re-model of this very old cabin with up to date finishes. Loved the location, everything about it! This property was even better in real life...perfect location, very spacious, clean...already planning our next trip to this property later this year. Thank you for a great CB visit. All you could ask for & more! Charming, cozy home in a terrific location. I will definitely return next year! Crested Butte, Colorado is located high in the central Rocky Mountains. If you are looking for outdoor, winter activities, this is the place for you. There is something for everyone. Alpine skiing, snowboarding, snowmobiling, snowshoeing, sledding, ice-skating, cross-country (i.e. Nordic) skiing, shopping, spas, massage, amazing restaurants and sight-seeing. In the summer, visitors can enjoy an abundance of activities. Hiking, mountain biking, golf, rafting, horseback riding, Frisbee golf, off-road jeep tours, and hot air ballooning. Crested Butte hosts several festivals throughout the summer that cover a wide-range of interests, such as art, film, music, wildflowers, wild mushrooms, and mountain biking. 50% deposit required to confirm reservation. Cleaning fee of $100 if rented less than 4 nights. Cancelation policy - !00% if cancelled more than 60 days prior to arrival. 50% if cancelled more than 30 days prior to arrival.